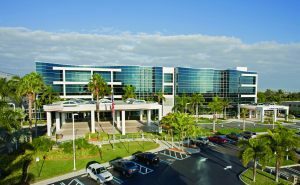 BOYNTON BEACH, FL – Bethesda Hospital East has been granted AABB accreditation for Transfusion Services. Accreditation follows an intensive on-site assessment by specially trained AABB assessors and establishes that the level of technical and administrative performance within the facility meets or exceeds the standards set by AABB. By successfully meeting those requirements, Bethesda Hospital East joins similar facilities located throughout the United States and around the world that also have earned AABB Accreditation. AABB’s Accreditation Program contributes to the quality and safety of collecting, processing, testing, distributing and administering blood and cellular therapy products. The Accreditation Program assesses the quality and operational systems in place within a facility. The basis for assessment is compliance with AABB standards, Code of Federal Regulations and other federal guidance documents. Established in 1947, AABB (formerly known as the American Association of Blood Banks) is an international, not-for-profit association dedicated to the advancement of science and the practice of transfusion medicine and related biological therapies. The association is committed to improving health by developing and delivering standards, accreditation and educational programs and services to optimize patient and donor care and safety. Bethesda Hospital East is part of Baptist Health South Florida, the largest healthcare organization in the region, with 10 hospitals (Baptist Hospital, Baptist Children’s Hospital, Bethesda Hospital East, Bethesda Hospital West, Doctors Hospital, Fishermen’s Community Hospital, Homestead Hospital, Mariners Hospital, South Miami Hospital and West Kendall Baptist Hospital), more than 40 physician practices, 50 outpatient and urgent care facilities, Baptist Health Medical Group, Baptist Health Quality Network and internationally renowned centers of excellence spanning across Monroe, Miami-Dade, Broward and Palm Beach counties. A not-for-profit organization supported by philanthropy and committed to our faith-based charitable mission of medical excellence, Baptist Health has more than 19,500 employees and more than 3,000 affiliated physicians. Baptist Health South Florida has been recognized by Fortune as one of the 100 Best Companies to Work For in America and by Ethisphere as one of the World’s Most Ethical Companies. For more information, visit BaptistHealth.net/newsroom, connect with us on Facebook at facebook.com/BaptistHealthSF, and on Twitter and Instagram @BaptistHealthSF.